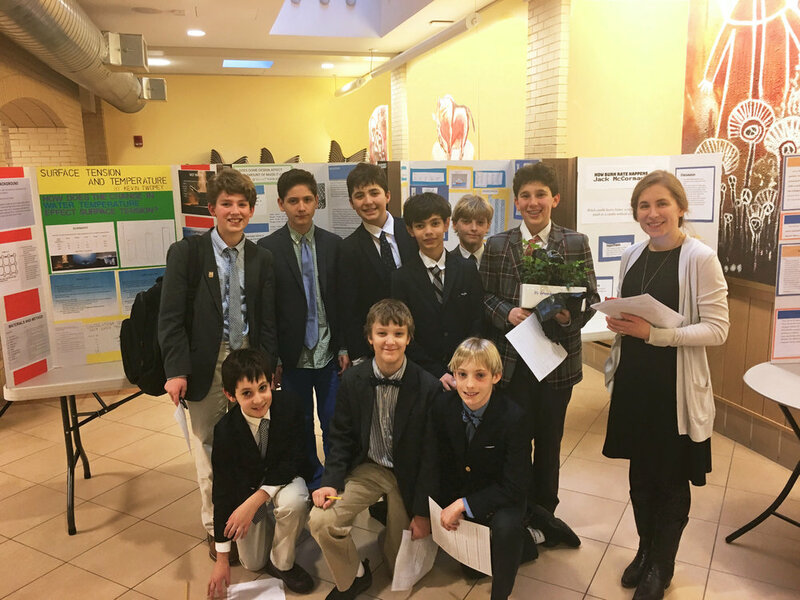 On February 8, boys in Grade Five through Form II utilized the School’s facilities – from science labs, to the dining hall, to the art rooms and Kurani Gym – as they welcomed their parents, faculty and staff to Math-Science Night. This annual event always proves exciting, with the boys geared up to explain the original projects they have designed and executed. Months in the making, their assignment demands that they incorporate mathematical analysis of their data as a central component in reaching a final conclusion. Under the structure and guidance of their math and science teachers, homeroom teachers, librarians and technology team, the boys raise questions and seek answers as they apply their knowledge and understanding of how math and science converge. From posters to PowerPoint presentations, the outcomes of the boys’ experiments are displayed and enthusiastically explained. Older PostChess Players Shine in NYC Championship!